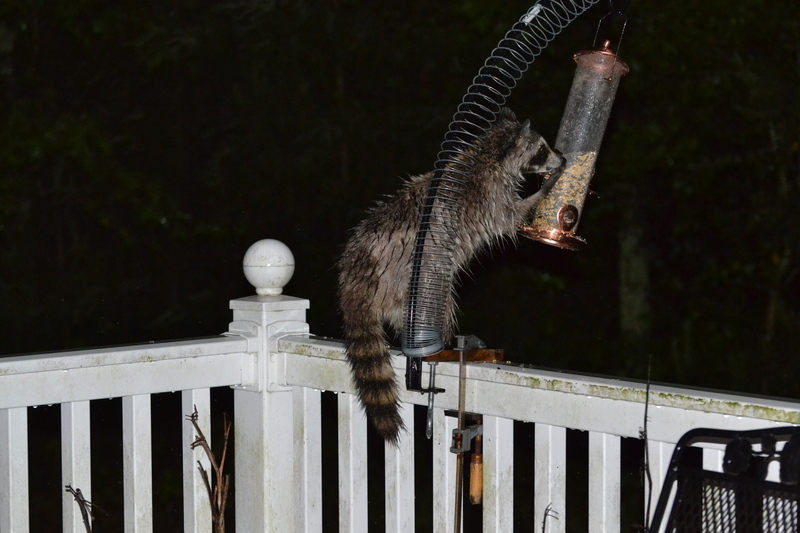 Well, at least we now know why the birdseed keeps disappearing so fast. Sorry to all the squirrels who were wrongfully accused…. That guy can eat you out of house and home! Now that he/she knows, you had better keep your garage doors down. We think we’re secure – except for seed and any gardening prospects! One of the most clever thieves around!